Half of you reading this right now are already worked up – foaming at the mouth even – because you read those two little words Cardinals fans love to hate. Individually, they don’t really invoke too much furor. A person uses a yoga “matt” to achieve a unique state of peacefulness and overall physical fitness. We can all get behind that, right? And despite a segment of the fan base’s unreasonable expectations, Matt Holiday was generally appreciated in St. Louis. Clearly the word, or even the name, “Matt” isn’t all bad. And let’s be honest – it’s hard to attach any meaningful symbols of hate to the name “Adams” either. Could it mean multiple “Adams,” as in Adam Wainwright? Sure, he’s had his down moments this year, but for the most part, wouldn’t we all love a little more Waino? And despite the modern attacks on masculinity, where would the world be without the first man, also named “Adam”? (Okay, maybe sinless and living in paradise, but I’m pretty sure you and I would’ve taken a juicy bite out of that apple too, eh?). But combine those two words in Cardinal Nation – “Matt” and “Adams” – and you get a chemical reaction not dissimilar to nitroglycerine. Volatile, unstable, and altogether nerve-wracking. I know, I know…Adams’ time here was less than stellar. He was inconsistent, inflexible, and even, at times, infuriating. His “streakiness” included All-Star-like stretches (like his .329/.345/.532 first half in 2014) and abysmal days of depressing no-shows (like his 2016 second half of .177/.246/.380). But let’s not pretend that the Cardinals owned a string of Hall of Fame options at first base. Since the departure of Albert Pujols and Lance Berkman, and the sudden crash-and-burn career of Allen Craig, St. Louis played seven different hitters at first base not named Matt Adams. With the exception of Matt Carpenter, none of them outperformed Big City. Oh, sure, there were flashes. Mark Reynolds hit 13 home runs in 2015 with injuries to the starting eight shoving him into every day duty, but his strikeout totals eventually caught up to him and John Mozeliak traded for Cleveland slugger Brandon Moss. Moss showed potential the following year, even enough to project a lucrative free agency (that never happened), but when he hit just .091 with 3 home runs in his last 100 or so at-bats to finish 2016, his stock plummeted. The rest of the pack is littered with names like Xavier Scruggs, Ty Wigginton, and Dan Johnson. 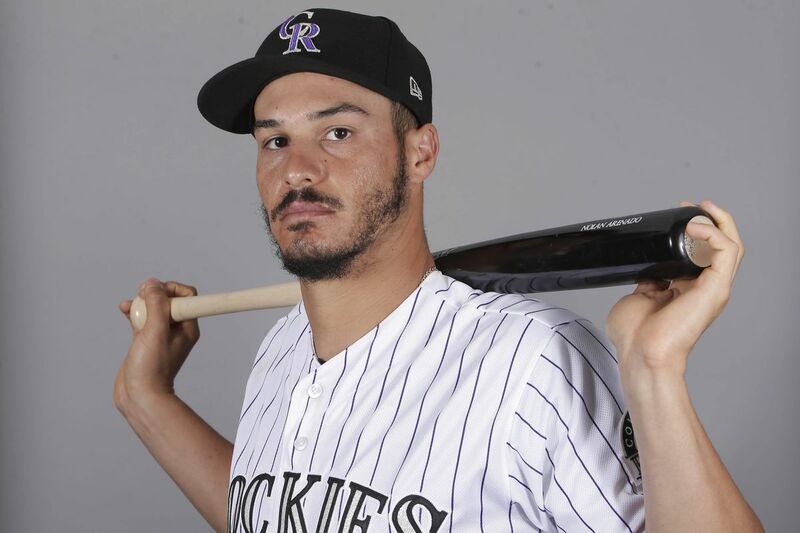 In 2013 – just a year after his mid-season call-up and major-league debut at 23 – Adams hit .284 with a .503 slugging percentage and 17 home runs in half a season’s worth of major-league at-bats (296). The next year, he hit .288/.321/.457 with 15 home runs and 34 doubles – one more than doubles machine Matt Carpenter in 68 fewer at-bats – in his only full’ish season of ABs (527). It took him all of the next two years to reach even 472 at-bats again, hitting for a combined .246 average with 21 home runs, 27 doubles, and 78 RBIs. Inconsistency and injury had cut his playing time. 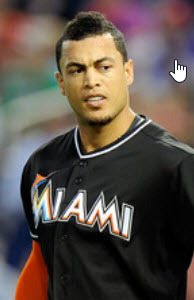 Specifically at issue was the alarming end to Adams’ 2014 campaign – he hit just .205/.289/.339 with three home runs in his last 32 games (just over a month) – coupled with an overall disappointing start to an injury-shortened 2015 (.243/.281/.375 with four home runs in 43 games, 35 of which he started). Both stretches conspired against him. In 2012, Matt Adams took a total of 344 at-bats in 367 plate appearances. The next season, just 308 at-bats and 331 plate appearances. 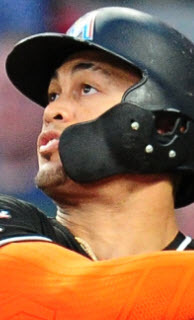 Then, suddenly, 527 at-bats and 563 plate appearances in 2014, all at the major-league level. That’s a 70% increase (232) in plate appearances in a single season for a hitter still listed at 260 pounds on Baseball-Reference.com. Is it all that surprising that his production fell off a cliff after 435 plate appearances through August 19th? Maybe it wasn’t the only factor, but fatigue was almost definitely in play. And that disappointing slump in 2015? Exaggerated. Yes, Adams’ play in 20 games from May 5th through May 26th was maddening to watch – I even wrote a piece at the end of that month detailing how his injury likely saved his future in St. Louis for another season, so pitch-black was the valley of despair he had fallen into – but his .159/.209/.254 line during that three-week stretch hardly told the whole story. Through the first 23 games of the season (April 5th through May 3rd), the Cardinals’ first baseman hit .309/.337/.469 with 15 RBIs. He was one of the most productive hitters on the team, and doing it in middle of the order spots, roles the 2017 Cardinals are still struggling to fill. At worst, the conversation should have been about answering the question, who is the real Matt Adams? The slugging middle-of-the-order bat from 2012 through most of 2014 (and the start of 2015)? Or the streaky, slump-heavy hitter restricted to a single position on the field? Instead, Adams’ slumps, perhaps marred by visibly grotesque swings when things went wrong, became the hallmark of his tenure in St. Louis. To use the now-popular political vernacular, the negative optics were simply too much for him to overcome. Some would argue that the more Adams played, the better he hit. Others – like Jon Doble at Redbird Dugout – even point to dynamic hitters like Freddie Freeman in an effort to explain Adams’ infamous difficulties with left-handed pitching, believing that Adams’ struggles and potential improvement against southpaws mirrors Freeman’s own pace of development. All of that makes sense, considering the nature of hitting in general. The more consistent at-bats a major-league hitter gets to adjust and shorten the gaps between streaks, the more reliable he becomes at the plate. 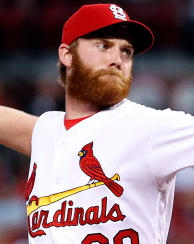 Unfortunately, the constant push for contention in St. Louis made it impossible to find out if Adams was someone who could make those adjustments or just another flash-in-the-pan that would fizzle out with increased exposure. In the end, Adams was trapped by the oldest axiom in baseball. He who hits more hits well, but he who hits well hits more. In other words, the burly slugger from Slippery Rock needed more consistent at-bats over a long stretch of time to find out if he could make the adjustments and be a better than average MLB first baseman. But a spastic and at times anemic Cardinals offense, already coughing and wheezing under the weight of the organization’s worst start in decades, couldn’t afford to create space for a 28-year old first baseman’s season-long tryout. Regardless of which camp you pitch your tent in – the pro-Adams or the crucify-Adams group – most agree that it was time for Matt Adams to move on. No one expected that move to come so quickly. And even Mozeliak must admit that he pulled the trigger too soon. Since joining the Atlanta Braves on May 21st, in the wake of regular first baseman Freddie Freeman’s injury, Adams is slashing .292/.339/.608 with a .947 OPS and 13 home runs. By comparison, that’s as many, or more, home runs than 12 all-star selections, a batting average equal to or higher than 13 all-star hitters, and a better OPS than 25 players on both all-star rosters combined. And that’s in just 171 at-bats. Most players on the All-Star rosters had more than 300 to compile those numbers. Sure, Adams’ average and OPS is likely to regress a bit with more ABs – maybe even a lot – but that home run total projects out to 23 home runs over the approximate average of 300 at-bats. Even if he just reaches 20, that total would equal the likes of NL All-Stars Bryce Harper, Charlie Blackmon, Paul Goldschmidt, and Jake Lamb. And it’s more than Ryan Zimmerman, Nolan Arenado, and Daniel Murphy on the same roster. To put it another way, Adams is producing in Atlanta at an all-star pace. And for the most part, he’s not letting up. But don’t tell his unfailing critics that. 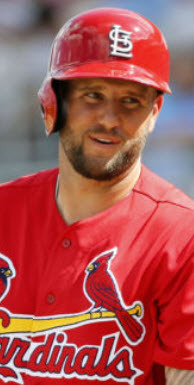 On July 7th, a fan – a respected and well-liked fan, I might add – tweeted out that Matt Adams was hitting just .219/.235/.281 with a .517 OPS over the last two weeks. It was a jab at the fans who had consistently pointed to Adams’ start with the Braves as evidence that Mabry should be canned as the hitting coach, or that Mozeliak had sold low on the newly resurgent slugger, or simply that Matt Adams really could hit if only given a chance. Apparently, those fans had gone silent. The fan on Twitter took that silence and the less-than-robust slash line as proof that Adams was returning to his “streaky” ways. The only problem is…it’s not true. That two-week stretch – a slash line seemingly pulled from a quick-glance stats window used for fantasy baseball – happened to include two hitless games in the first week of July, one of which was thrown by a left-hander dominating all left-handed hitters this year (Sean Manaea, holding LH hitters to a .164 AVG) for 7.1 innings. With both of those games falling in the same week, Adams posted a slash line of .188/.176/.250 from July 1st through July 5th. But in the seven games before that (June 22nd through June 29th)…he hit .292/.346/.458. Not an All-Star slash line, but a far cry from the Mendoza line. 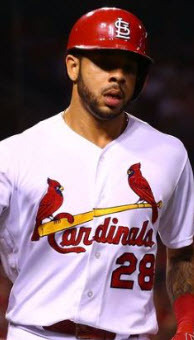 In fact, later in the day – the same day as the “Adams is regressing” proclamation – the former-Cardinal first baseman went 2-for-4 with two doubles off National League All-Star Game starting pitcher Max Scherzer. The next day, he hit a three-run home run and was intentionally walked once by Stephen Strasburg. And on the final day before the All-Star break (July 9th), another two-hit, two-double day in four at-bats. His final pre-ASG slash line in the month of July: .286/.300/.571 with an .871 OPS. No slump here, folks. Not yet, anyway. Matt Adams may finish his career as a below average hitter. He may even finish his career in Atlanta as one, assuming the resurgent Braves hold onto him through the non-waiver trade deadline free-for-all. But as of right now, he’s hitting so well that the Braves moved Freeman to third base in an attempt to keep Adams in the lineup. That’s something that the Cardinals – a team whose first baseman (Carpenter) played 3,561.2 innings at third base in the major-leagues – were unwilling to do. And that’s the crux of the Matt Adams angst, isn’t it? It’s not that Mozeliak moved Adams. His time here was becoming difficult, and everyone knew it was best if he plied his trade elsewhere. A trade was inevitable. And even though I lampooned the possibility in Mike ‘N Mo (plug! ), it wasn’t a move designed to prevent Matheny from deploying a career first baseman in left field. That experiment had ended. If you want to know the truth of it, the consternation most fans feel from the trade is fairly simple. It goes something like this. 1B – Matt Carpenter was slashing .234/.384/.477. That line would dip as low as .209/.341/.396 on June 6th. 3B – Jhonny Peralta was slashing .185/.241/.185 as a third baseman. 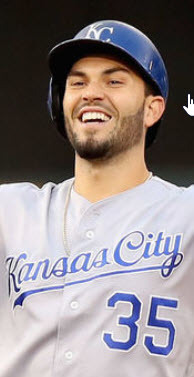 He would receive 29 more plate appearances in 11 games, six of which he started, before being given his unconditional release from the roster on June 13th (his final game appearance came on June 6th). And he refused to play first base. 2B – Kolten Wong was establishing himself not only at second base but as one of the team’s most valuable players, but he landed on the disabled list a week after the trade. He briefly returned for six games before hitting the DL again. He was just recently activated today, July 13th. 2B/3B – Greg Garcia had just finished a 1-for-13 stretch before collecting three hits on May 20th. He’s hit .169 in 77 at-bats, largely at second and third base, since. The point is, there were at-bats to be had for Adams on a team sinking quickly in the standings and with multiple holes on the roster. Matt Carpenter could have played either second or third base effectively after performing poorly at first base, but St. Louis didn’t want to move him, and Adams’ apparent value as a potent bench bat was disregarded. A month later, the team called up Memphis Redbird Luke Voit from Triple-A to play first base. Matt Carpenter played second base. And now there are those in the media discussing a possible move to a corner outfield spot to make room for Voit, Carpenter, and Wong in the same lineup. But there was no room for Adams. Not on this team. The uncomfortable truth is that the Matt Adams trade was bungled by a team that could’ve used his bat for another month, if not more. He was traded too early for too little. Had Mozeliak waited just another week, or stopped waiting to DFA Peralta, Adams would’ve received a bounty of at-bats. And if he performed well, as he did in Atlanta, he could’ve brought quite a bit more than the minor-league-prospect equivalent of a bag of balls in return. And this team wouldn’t be tied with the Cubs right now. Ultimately, Voit is providing the Cardinals exactly what they needed all along – a hitter with pop who takes smart, good at-bats. There are those that use Voit as justification for the Adams trade. And that may be true…now. Lord knows I called for a Voit audition a long time ago. But Mozeliak made the Adams deal over a month before reaching down in the farm system and hauling Luke Voit’s mighty swing up to the major-league level. This team needed him in May. They had Adams, a hitter with major-league experience versus an unknown quantity in his 26-year old successor. For more than a month, they went with neither. And that brings us to the bottom line. After trading away Matt Adams, the Cardinals lost at least 12 games by 2 runs or less. The Braves, on the other hand, have won 14 by the same margin since acquiring him. With today’s blockbuster trade sending Jose Quintana from the White Sox to the Cubs, Chicago announced the start of trade season with a bang. 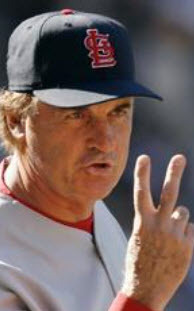 Let’s hope the Cardinals learned something in the last 60 days.